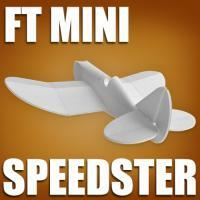 Here's the step by step build tutorial of the FT Mini Scout from the Might Minis Series! 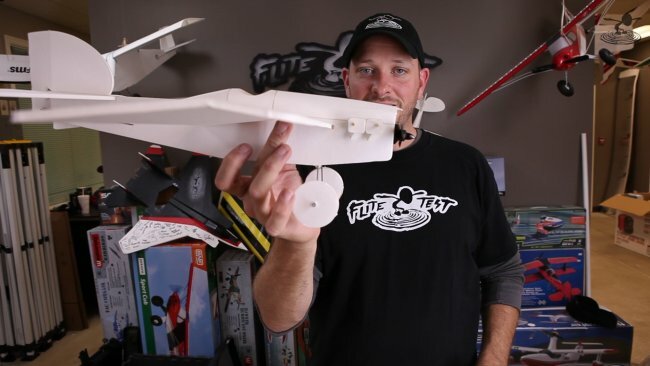 The FT Might Minis Series are similar to our larger FT Swappable Series, but these smaller planes can be flown indoors, outdoors and in small backyards! These fun foam flyers run off of smaller motors like this EMAX MT1804 2480KV Brushless Motor. More details on the electronics are available below! 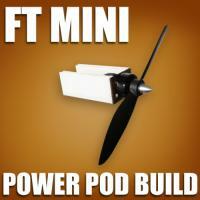 You'll want to put together your mini power pod first! 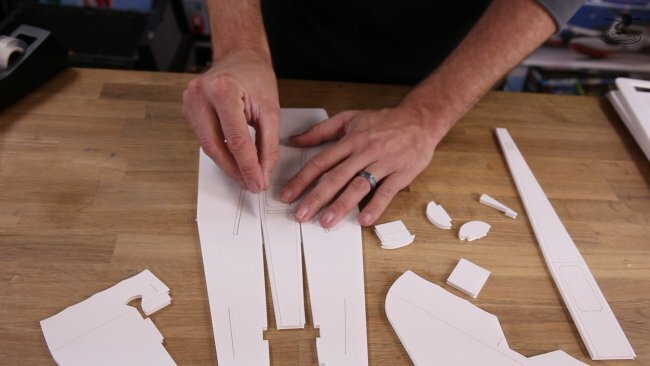 The undercamber wing gauges are just some of the smaller pieces of this kit to keep an eye out for when organizing all of your foam board components. 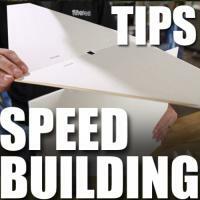 The speed build kits offer easy to build laser cut pieces that make the building process go much faster! With these FT Might Minis, we want to keep the weight down as much as we can. Reinforcing glue with clear scotch tape instead of the usual packing tape on things like the wings. These Mighty Minis offer all the same building techniques of the FT Swappables. 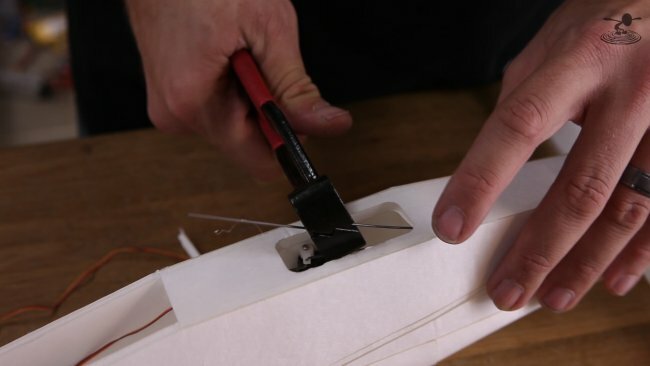 Centering your servos is good practice with all of your scratch built airplanes, especially the FT Mini Scout. A tool that's good to have for these types of foam board builds is a Z-Bender! 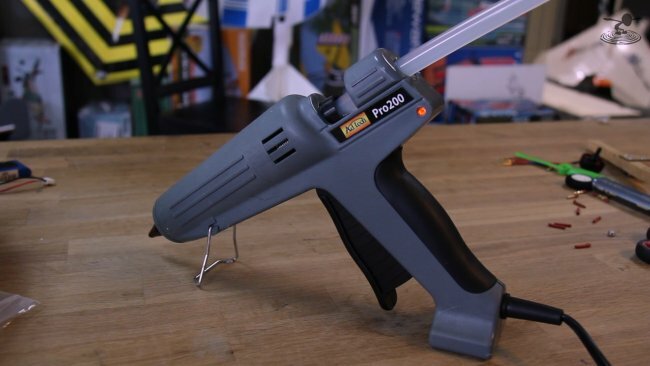 Ad tech sent us out some hotglue guns to try and we're really likeing the Ad Tech Pro 200! The FT Scout Speed Build kit and the free build plans both come with these cool add-ons that, if painted black, will give your scratch built Scout the look of exposed cyclinders. No matter what airplane you build, always be sure your CG is correct. Slightly nose-heavy is always the best option. And with that, you're ready to fly! Be sure to check out some of the additional articles posted below to learn about additional wheel options, build tips, and first flight tips! Wow! Both planes at the same time. This is an FT overdose of goodness. 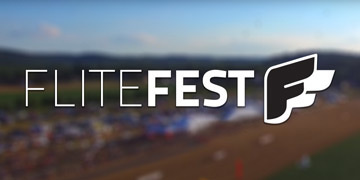 Clear skies forecasted for this weekend. Hmmm which one goes in the air first. Both. At least glide tested. Waiting on motors and batteries to come in. wow really nice plane guys! gj! i wonder if i dont use landing gear than 9g servo will be okay ? I tried a very similar setup to what you are describing (I have 4.4gram servos), and, at least at the altitude of Denver, it is a bit underpowered. It flew OK, but would not gain altitude very well. It also only had about 4 minutes of flight time before loosing power. I am going to try a 3s 850 with a 5x5 prop next. will let you know how it goes. 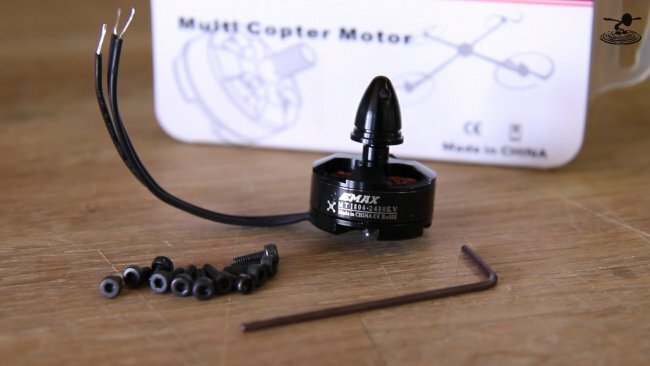 What hobbyking motor is good for this? Any of the mini quad sized motors will be good. 1804, 1806, 2204, 2206 would all be fine. There is an Emax CF2805 bell type motor that would make a good lower cost option as well. WLtoys F929 airplane receiver and motor in order. Maybe i'll make a 65% version of this. 3mm depron is 60% of foamboard so should be close enough. I had exactly the same thought. I have used the F929/939 brick in a scratch build and a repower project and it has been great. I think you could get away with 70% or maybe even 75% and end up with a very nice light indoor flyer. Just maidened my first Scout build, even though it is dark. Went out to the field behind my house and tossed her up, I had programmed in to much up had to ease off on it some. Will shoot video tomorrow morning if its not to windy. I was able to get a little bit of video though it was too windy, didn't upload it so when the wind drops off some I will see what I can get. Would you recommend this for a good second plane? 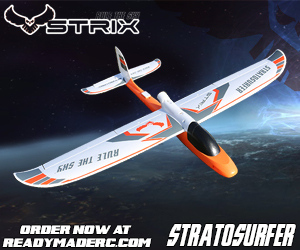 We personally think this is good for a second or a third plane as it gives you a good transition into advanced flying as after you get bored with flying this plane, you can cut ailerons and do acrobatics with the plane. I love the look of the scout, mine is awaiting servos and a receiver on my workbench right now. I have just one comment on the build video. Remove your prop pretty much any time you're powering up the rx and not flying. Prop bites are no joke. Its even worse when you have long hair. I lost a chunk of hair to my friends stupidity. Hes book smart, but his common sense is lacking. I noticed the same thing.It seemed like a good time for a lesson :). Has anyone in the UK had any success making the scout? The foamboard I can get over here is much heavier than DTF so the only way I can get the CG in the right place on the scout is to stick an 850mah 3s on the nose, which makes it even heavier rendering it pretty much useless for indoor flying, which is what I wanted it for. I've tried cutting out spare foam from the back end of the fuze creating a sort of skeleton effect, but it isn't nearly enough. 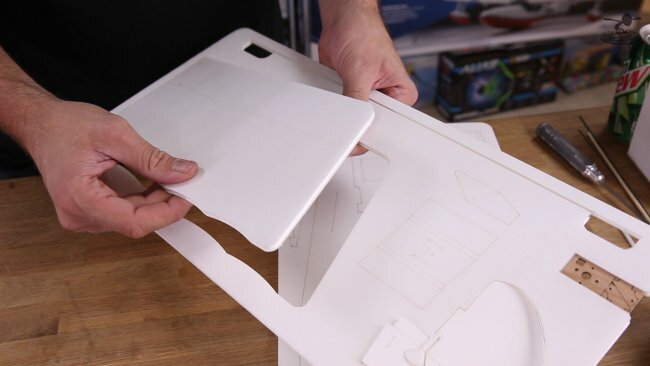 If you have discovered light foamboard in the UK, where do you get it from? It should be lighter with the paper removed. While I don't have experience with your type of board, hot water usually works. I use 5mm depron. Its lighter than Dollar Tree. UK foam board from Hobbycraft is ok for some planes but not the mini scout. I built the nutball and FT flyer out of Hobbycraft foam and found that I had to add weight in the nose to balance it, even with the battery as near to the propeller as I dare put it. That said, they fly really well. The same might not be true for the mighty minis though. I found that my Hobbycraft nutball was about 30% heavier than it should have been if made with Dollar Tree foam, so I did a little research. I understand a sheet of 20"x30" Dollar Tree board weighs 120g, which works out at 0.031g/sq cm. The Westfoam board that you can buy in Hobbycraft and Rymans weighs about 240g for an A1 sheet, which works out at about 0.048g/sq cm. This makes the Westfoam board about 50% heavier than the Dollar Tree. If you remove the top glossy layer of paper from the Westfoam board this reduces the weight to almost the same as the Dollar Tree board. 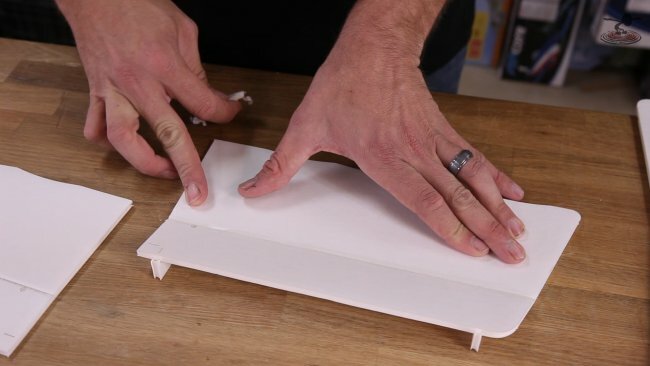 You can do this quite easily by sticking a bit of tape onto the board and pulling the top layer of paper off with it. Unfortunately this also reduces the strenth of the board by about 50% because you have removed a good deal of the compressive strength from the paper. You can restore some of this strength by coating the board in varnish as recommended for waterproofing. Just sponge on solvent based varnish and then wipe off the excess. Once dry, the board should be about 75% as strong as the original and still not much heavier than dollar tree foam. Fortunately hot glue will still stick to the board effectively, even though it has been varnished, because the surface is not smooth. 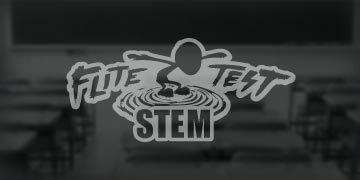 These are just the results of my simple tests. I haven't tried to put the theory into practice myself. You should do your own tests as the type of varnish you use may make a lot of difference to the results. Hi, I just built the Mini Scout and I have a piece left over. It is about a rectangle about 1" x 6" (from the tiled plans). Can anyone tell me what it is for. Also I did not cut out the leading edge of the wing near the back of the power pod. Mine fit with out doing so. Is there something wrong here? I thought the thin strip bit was perhaps supposed to be cut from card and used as the tyre for the foamboard wheels. I could be wrong. I didn't need to cut the leading edge of the wing either. Where did you hear that you needed to? And I'm going to build a scout out of 3mm depron today in the hope that it will enable the CG to come far enough forwards without the need for a rock on the nose. I'll let you know if it's a success. Hi, Thank you for replying. I still don't know what the strip is for. I have figured out my dilemma about cutting the wing at the center. My firewall lines up perfectly with the nose. However you can see that Josh's firewalls are recessed. That is why you cut the wing at the marks that are on the wing. This clears the powerpod when you recess it.I intend to do mine for looks even though it is the wrong direction adjustment for CG. I am hoping to fly mine on an 11 gram 2000kVa motor but a more powerful motor is on the way just in case. I will install the new servos in a couple of days when they arrive. I am slowly learning not to fly planes until they are as good as possible. 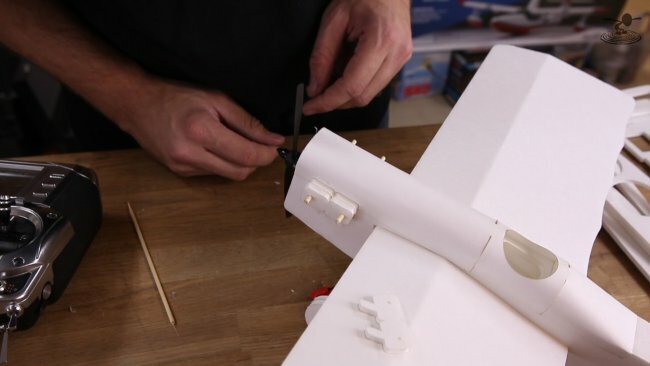 You can see it in the video and he talks about it when he is installing the wing. We could not wait! The Scout kept on saying, "Come on, lets just try it". So I gave in. I put some packing tape on the wing leading edges. Instead of waiting for lighter parts I jammed a 500mAh 3S Zippy Compact battery and an Orange RX (case and all) into the Fuselage under the Power Pod. Inside the Pod is a Turnigy Plush 10A ESC. The motor is Hobby King 11 gram 2000kVa outrunner. YOWZA... it flew like a DREAM. I could not get my wife down to the field to film the maiden but it was a thing of beauty.This is by far the slowest plane I have. I could easily keep it within the bounds of the hay field which is difficult with my other planes. Very stable and smooth. I don't need to change anything on this plane.Flew at something less than 1/2 throttle even with this little motor. There was plenty of power for a loop from level flight! I flew it for about 5 minutes with 2 landings. I could have flown more but I did not have my battery checker with me. Also I wanted to quit on a high note. When I got home I found the battery cell voltages were still at 3.9V. I generally them down to 3.75V. I could not be happier.Total weight with the battery was 189 grams. That is exactly how mine flies...smooth! I see this question was asked quite a while ago now, but for the record, that long skinny rectangle is not a piece of the plane, as you have probably figured out by now. It actually represents a cut-out for the speed build kit. 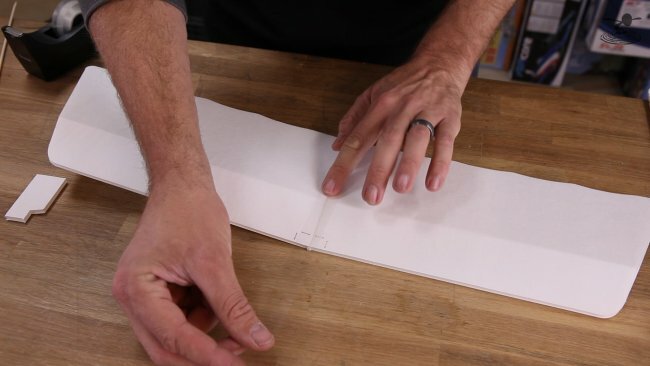 The kit comes with a strip of Velcro which is transported within this void in the foam board. I just completed my kit construction, and I'm so impressed with the planning and design that went into laying out the parts. It just takes two or three quick pokes with a blade to free each piece from the background, and the way Josh uses the waste background to carry the additional accessories (Velcro, pushrods, skewer, etc.) is really clever. Can't wait to take mine for a test flight, hopefully this week, weather permitting. I think a Mini nutball would be great. Any recommendations as to what horizon umx planes would be good to use the power systems from for this plane? Going to look for some used gear to make this one. Got my plan printed out and some lines adjusted for 6mm Depron. What is the inner width of the Fuselage (ie between the 2 inner lines on the plan) with 100% scaling mine came out as 31mm or 1 7/32 inches, which seems a funny size, I think they print slightly undersize as the Scale markings are a fraction short as well. Also does the Wing actually get glued in as none was used in the video. Size difference probably down to American paper sizes which are slightly different to the World standard most other countries use, like us in the UK. ie American A4 is not the same as world standard A4. Has anyone tried to put ailerons on this? Ailerons do not generally work well on simple under cambered wings, massive adverse yaw. Hi it will be great help if some can please help me for choosing below motor for scout, will this motor okay with 20amp esc and 2/3s Lipo.?? Can you please upload the full size plans again? The pdf seems to be corrupted. Hi,i do not know whats with your PDF viewer,but it works fine for me. Built mine from plans. was going to go with the standard 9gram servo's, but the more expensive 5g's were worth it as far as fit goes. Just a buck more per, so not breaking the bank. I used a Power Up 180 motor with 5043 prop. Flies awesome with either a 500 3s all the way forward and then some, or an 800 3s. I should've balanced it before I got the power pod set in place with skewers as I have it a touch back, but it still flies sweet! One question: what the heck is this plane? Like it's real counterpart? Been looking all over google trying to find a likeness for paint...? What are you "scratchers" using for pushrod -CF or wire and what diameter? You can use pins "all-pins" instead of clevises. Use super glue to attach pin to cf tube. I have used 1mm cf tube like that. Super build! I had tried to scale down an Old Fogey with less than exciting results, I didn't have enough motor and didn't add any angled thrust. Anyway, the Mini Scout was just what I was looking for. I built it, balanced it, and threw it in the air. ZERO trim needed! It flew straight as an arrow and handled a breeze well. I used a 5.5*4 prop on an HK Emax 2805 and flew it on a 2S 500 as well as a 3S 450. I need to try a few different prop/battery combinations. Refreshing fun! Would a 24 g blue wonder motor be too big ? 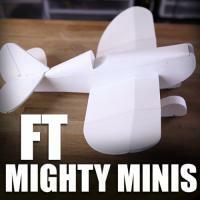 Could you make the Spitfire and P-51 mustang in mighty minis? I built the mini without turtle-decks to keep the weight down for indoor flying. I also removed some material. Wish I had removed the paper inside the fuse. I have had great fun with it outdoors too! I'll probably build another, but am also thinking of scaling it up to 150 or 175% I like it so much. BTW, I had to increase the under camber at the wingtips because of tip stall, however that was due to the overall wing camber relaxing after assembly. 1x6 inch poster board is for wheel pants. 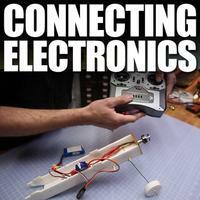 Can you use SimonK flashed ESCs connected directly to a receiver? I'm not getting a response on mine. Can i use detrum bm2806cd-kv1200 motor ? with 18 amp esc and 2s battery ? so those are all of the electronic I need? Nothing els? I think I may try to build it on my own. 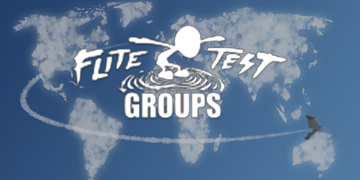 Hi Josh & flite test team. I've just finished a scout, built here in Australia with auzzie foam. The foam here I think is slightly heavier. 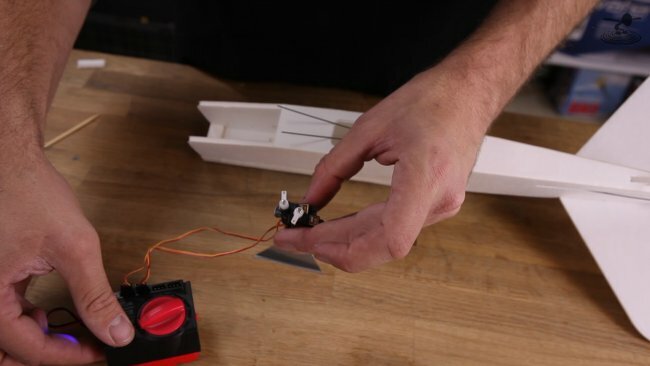 The plane with servos only (no pod or battery) is about 125g. With pod and motor it's about 150g. To get the CG in the spot indicated (just forward of the undercamber crease) I need a heavy battery right at the front (1000mA 3S approx 90g). The model ends up weighing about 250g. I didn't go crazy with glue or anything. Do you have any tips to resolve the issue. I noted similar problems with my Old Fogey, FT Soarer and Slinger. All needed bigger batteries and/or longer noses than specified. I think I might try a add-on longer nose for the scout. Thanks for great plans and videos, we've been having a lot of fun. Hey John did you try adjusting the power pod forward to increase the nose weight/length? I have the pod and battery right up front. The good news is that with a 1000mA up front it flies really nice anyway. The plane is fine though! Got the scout built and needed to move the pod forward a bit. 3s 450 and she flew perfectly.. I have just scratch built my second scout here in the UK. i have taken inspiration from the old foagy and modified it to have a removable wing looking forward to the rain stopping so i can test fly!! It flys! despite a total weight of 225g with our heavy British foam board. A bit less wind and I will try a longer flight. I just built the mini scout and threw what leftover electronics I had into it which consisted of a park 400 motor (overkill but it wasn't inuse), 7x3 prop, 20a esc, 3s 1000mah lipo, 1-5g and 1-9g servo, 3in wheels. I had 2/3 sheet of DTF so I tetris-ed all the pieces on there. I didn't build the canopy it was a squared top of the fuselage. I had to recess the mini power pod another half inch due to the huge motor being longer than the little 250 they recommend. The thing flew great! It flew a bit faster than bixlers did but there was loads of power and I really enjoyed it. Since the maiden went well I will now purchase the appropriate motor and battery knowing its a great airframe and flew over motored and over weight better than I expected. GREAT DESIGN TEAM FLITETEST!!! I am new to all of this and so I have a question. What is a good charger for the second battery option or the Turnigy nano-tech 460mah 3S 25~40C Lipo Pack? I ordered the ft mini speedster,but can't find a radio/receiver to use,will the dx5 work,if not what else is on the market that would work? I have finally been able to build this plane from the foam board I had available. From my dads old marketing business, here in Finland. The foam I used has one side plastic coated, is 1mm thicker than the flitetest foam, and other side with glue so one can make a poster, good for gluing plans onto the foam. The foam is probably much more dense too so it's much heavier. I ended up having to rebuild the airframe, as I could not balance it up, not even with the bigger motor, a 2206 and a 550 mah battery. I had to place the wing as the last bit, so that I could have it balance up perfectly. I ended up moving the wing 40mm further back than the original plans. That is a bit extra though, as I wanted to place the bigger battery as far back as possible, as it would otherwise be exposed in a crash. With recomended battery size and engine It would be less. So if you like I build with heavier foam boards, consider cutting out the holes for the wing as the very last step when everything else is done. This way you can get the CG correct for your plane. Now, today will be the maiden if the wind just would like to calm down a bit. I had to turn up the expo up to 50%. 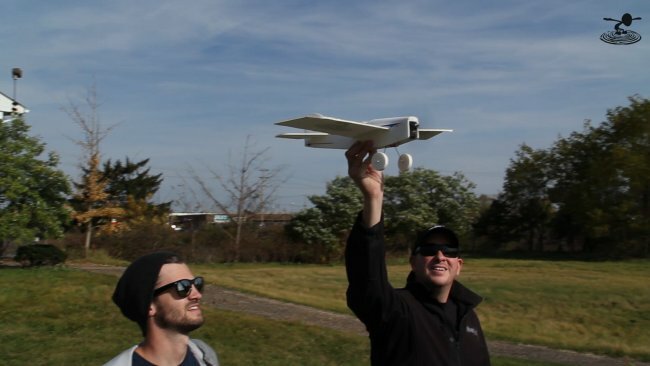 but besides that it flies great, Good job Flitetest. the estimated AUW is ~180 190gms. 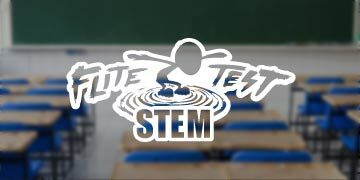 will the above set up be able to make a successful flight ? I see you report your model weight to be 225gms. Can this plane use the power pac b, or will the motor overpower it. I built the mini scout about 3 times and each one is just as fun as the last. 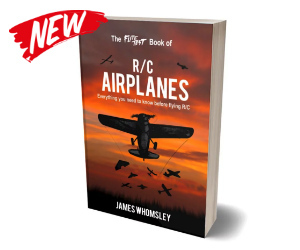 thinking about a bi-plane conversion like Josh and his son had. Thanks FT crew. How on earth do you all cut these out some well? I end up ripping the foam board all to heck and my shapes arent uniform enough to fit well. Any tips on cutting these better? Anybody built a scaled-up version of the mScout? 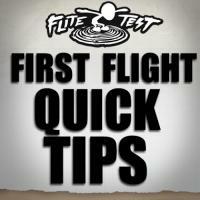 i built one using 6mm foam board and it flies great... thanks flitetest! Hi guys, first of all thanks so much for this initiative i'be been wanting to get into this hobby for a long time and this scratch builds are great. I build a mini scout and I had dificulties when flying with wind, then recently I flew it without any wind and saw that the plane tends to pull to the right, do you have an idea of what can be causing this? Does it matter if the emax 1806 is cw or ccw? 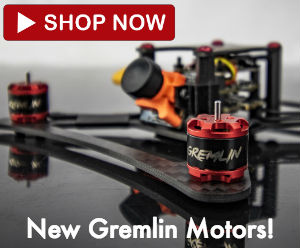 Cause I ordered 2 motor not paying attention and they are cw. what music wire diameter for the pushrods and landing gear? didn't see landing gear diagram, either ... ?